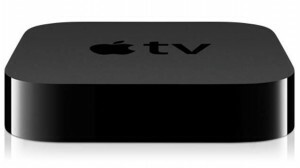 Apple recently stopped offering $0.99 TV rentals, saying that their customers prefer to buy TV shows instead of rent them (the price to purchase is $2.99 for HD content, and $1.99 for standard definition). In a business sense, obviously the reduced price did not significantly increase sales volume to justify keeping the rental vs. the purchase model. But I don’t think it’s correct to say customers prefer to buy vs. rent as such. The truth is, Apple’s iTunes user interface (UI) was terrible for renting TV shows, and customers and the rental model were never really given a chance. The iTunes interface suffered from a number of functional problems. For example, when you rented content, you could only play it on the device you rented it on. But worst of all, iTunes had no bookmarking feature that kept track of which shows you’ve rented, so it was nearly impossible to keep track of where you were in any particular show. Nor did the customer, as renter, know when a new episode of a TV show became available for download. One can buy a “Season Pass” on iTunes, and get the content of that TV show pushed to you automatically. Not so with a rental. Netflix, on the other hand, has a bookmarking feature. And whether you switch between the home TV set, your computer, your iPad or iPhone, or any other device you might have, the last show you watched is marked as such. All you have to do is tell Netflix you want to watch the “next” episode in the series of the show you’re watching and it knows what to play next. It’s easy to keep track of which shows you’re watching (via a ‘recently watched’ list) and which episode you’re on in any particular show. Without bookmarking or season passes for rentals, Apple customers likely lost track of their place and just gave up, frustrated—or forgot about it altogether. The real problem wasn’t that customers prefer to buy vs. rent, nor was it about price; it was that the cost of using their UI was too high.